THE ASSOCIATION REPRESENTING rank-and-file gardaí has said the breath test scandal is a management issue and blame should not fall on its members. Speaking ahead of the Garda Representative Association’s (GRA) annual delegate conference in Salthill, Co Galway, president Ciaran O’Neill said his organisation has not been asked to get involved in the current investigation into how almost a million breath tests that never happened ended up on the Pulse system. “But this is a management issue – they’re the ones that come up with the statistics, they’re the ones that set up the checkpoints, they’re the ones that are sending people out every day to do the checkpoints,” he told reporters. He said the role of managers is to “ensure the job is done”. Their role is to make sure checkpoints are set up and their role is to make sure we are being properly supervised. In March, garda management revealed that over a five year period, some two million breath tests were recorded on the force’s internal system. A review of these figures found almost a million of these tests never actually happened. At the same time, they confirmed an error meant 146,856 summonses were wrongly issued to drivers. An internal investigation into the phantom breath tests is currently ongoing and Garda Commissioner Nóirín O’Sullivan has said at best it was “incompetence, at worst deception”. O’Neill rejected O’Sullivan’s comments that there was responsibility for this at every level, from bottom to top. He said if there was deception or dishonesty, there are discipline regulations to deal with that, though he added these regulations had not yet been invoked. O’Neill also said he thinks recent scandals will give fuel to people “whose mindset would be against An Garda Síochána”. “But the majority realise it’s not the guards on the job, not the guard on the frontline – the issues lie with senior management”. For live updates from the conference in Galway over the next three days, follow @michellehetweet. Email “Gardaí on breath test scandal: 'It's not collective responsibility, it's a management issue'”. 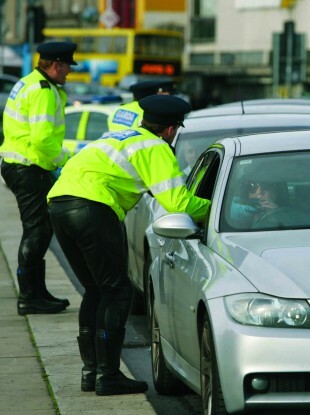 Feedback on “Gardaí on breath test scandal: 'It's not collective responsibility, it's a management issue'”.